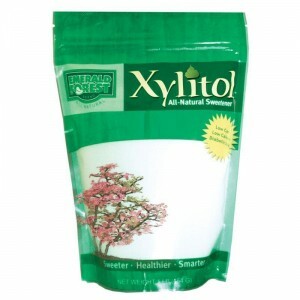 Xylitol is a natural sweetener derived from plants. Though it contains a sugar alcohol, this is different from the type of alcohol found in alcoholic beverages. Side effects are almost always mild for the occasional individual who does experience them. Intestinal issues such as gas and diarrhea are the most common reactions. Severe side effects are extremely rare, making this a safe choice for replacing small amounts of sugar in your diet. The side effects associated with Xylitol are uncommon. Most people can use this sugar substitute with no adverse effects. The most commonly occuring side effects can be linked to any type of sugar alcohol. These include diarrhea and gas. If you experience these side effects, you can usually control them by increasing your intake more slowly. If you experience any of the above signs of an allergic reaction, you should contact your health care provider immediately. As xylitol is derived from the birch tree, individuals who have a known allergy to birch should avoid the product. Xylitol does not have any known interactions with other medications, but the most common xylitol side effects can cause problems with other drugs. If you experience severe diarrhea as a side effect of xylitol, the other medications you are taking may not be fully absorbed by your body. This can make them less effective. If you are experiencing severe diarrhea as one of the xylitol side effects and regularly take another medication, consult your doctor. You may need to adjust the dosage of your medication temporarily to compensate for the effect of the xylitol sweetener. Pet owners should be very aware of the possible side effects in dogs. This sweetener should never be intentionally given to any pet. However, if a dog accidentally ingests xylitol, you should take it to the veterinarian immediately. Xylitol can cause dangerously low blood sugar and liver damage in dogs. Left untreated, these side effects can even be fatal. Some studies indicate that xylitol may be dangerous with long term use and high doses. In these instances, this sweetener could increase chances of tumors. This has only been proven conclusively in animals and has not yet been shown in humans. For this reason, however, it is recommended that xylitol be used sparingly. Xylitol sweeteners are commonly used by diabetics as they provide sweetness without the carbs that negatively effect blood sugar levels. Xylitol neither raises nor lowers blood sugar levels significantly. It is important for diabetics to consider their xylitol usage carefully when this product is added to the diet as a replacement for sugar. Individuals who were previously accustomed to accommodating sweets by adjusting their insulin dosages should use less insulin when xylitol is replacing the sugar. Talk to your doctor about the best dosages of diabetes medication when using an artificial sweetener in place of sugar in your diet. Among artificial sweeteners, xylitol is one of the safest choices. Most xylitol side effects are minor and cause only discomfort, rather than serious damage. However, if you are concerned about the effects of xylitol or experience severe reactions, you should always consult a doctor immediately and consider changing your diet to include a different choice of sweetener.